Joanne Crewes knows all too well about pressure. Business and marketing pressure, that is. As Procter and Gamble’s (P&G) former president of the Global Prestige Business, she managed a US$4 billion business unit. She’s also worn a gamut of hats. First starting at P&G in 1988 as the A/NZ brand manager, Crewes moved to marketing director, general manager, then vice-president of female beauty for A/NZ, ASEAN and India, to vice-president of emerging markets in Asia, and vice-president of Asia Beauty. 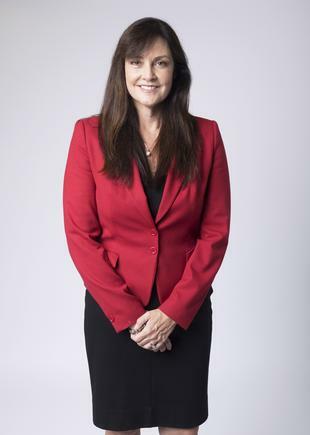 Her final post at P&G before leaving in 2014 was president of Global Prestige. Overall, Crewes has 27 years of brand building expertise in the FMCG industry. Today, the former P&G executive and marketing veteran, is a non-executive director for ASX-listed Dulux, oOh Media, Global Advance and RM Williams. CMO caught up with Crewes to talk lessons learned during her time in high-powered marketing and business chairs, as well as insights on moving into the world of boardrooms and non-executive directorship. First and foremost, today’s CMOs need a passion for the consumer - a critical way of thinking Crewes learnt 30 years ago as a fresh-faced brand manager. “Building the brand equity is key. And continuing to be very fastidious about return on investment and making sure the way you spend the money provides you with the right marketing effectiveness and ROI, and never being lazy about that,” she says. As roles evolved and Crewes broadened from marketing to general manager and vice-president roles, so too did her belief in the power of the customer. As president of Global Prestige, she ran all operations and strategy for a multi-brand portfolio regionally, from implementation and strategy, innovation programs, manufacturing, sales, marketing, as well as operational disciplines, from legal to governance. “Having been trained in a bluechip marketing company, having also been a very strong and remain a very strong passionate marketer, I see the strength of how marketing - and ultimately how your users - are going to bring you future business and are the way forward,” Crewes comments. One of Crewes’ proudest achievements at P&G was building SK2, a prestige skin brand. It was part of the $80 million Revlon and Max factor acquisition by P&G and what is now considered to be worth US$1.5 billion globally. The key to the continually fast-building business’ success was transforming the marketing strategy to be able to get up-close-and-personal with the consumer, a select group of people craving unique levels of personalisation. While Crewes agrees personalisation is not always a main focus for all brands and that its relevance depends on the type of product, target market sector, and objectives, for SK2, personalisation proved critical. SK2’s personalisation strategy involved a combination of in-store education with counselling, along with online education and various technology tools that were then able to help consumers focus on the right technique at the right time, providing a product regimen suitable for each and every individual. This theme of personalisation - and connectivity with the consumer - is also prevalent and relevant for Ooh! Media, the A/NZ out-of-home media advertising firm. The company manages digital and analogue signage across roadside, retail, airport and place-based media offering in CBD office towers, cafés, fitness venues, bars and universities. Today, as a non-executive director, Crewes says she’s working to help oOh! focus on the right context, at the right time, using its multi-platforms approach to increasingly tailor make integrated campaigns across different mediums. “We can provide a context that goes from being many eyes on a billboard sign into developing a link into an online context that provides a real personalised approach,” she says. An example is the Contiki campaign running across 99 university campuses. This integrates a visual campaign linked with online platforms, with an app then available for download. Crewes cites a 300 per cent increase in use of the app as a result. “These are the sorts of things that are pretty critical as you go from mass media communication - and using what many considered to be the traditional approach - to what is now considered to be a more integrated and a future forward approach across different mediums,” she says. Looking at these and other examples, Crewes agrees it’s an interesting time to be a non-executive director at a communications company and to reflect on the many media market changes. “We are seeing the fragmentation of media and a change in the way the consumer gets their information,” she says. “Traditionally, it used to be a TV-based approach, and the success of your business was behind a TV-oriented campaign. Now it’s much more fragmented and a digital-led approach. Crewes attributes this to the escalation and availability of data and analytics to reach audiences more effectively. CMOs can now better determine the effectiveness of the media and marketing campaigns and spend. “When I first started, you knew 50 per cent of your marketing budget. You knew how it was spent and how effective it was, and the other 50 per cent you didn’t know. Now through analytics, and the understanding of the media and the approach that you can take, CMOs can better understand the effectiveness of their spend,” she says. On the flip side, with ever-increasing innovations around how to reach an audience in the digital world, Crewes admits it can get confusing. “We have switched from what was in my day, a 30-second TV commercial, or a sampling program delivered to a letterbox to reach the audience, into what is today a content message that changes over the course of a couple of weeks, either on an online platform or whether it be in the fast-paced digital medium,” she says. In that vein, part of Crewes’ mission at oOh! Media is to help the company become audience-led, bring the “marketing voice” to the boardroom table and to provide customers with a range of offerings across outdoor, offline and online platforms. “The strategy is to make sure we can develop campaigns that provide the best and most effective way for a marketing campaign to be set in an integrative approach,” Crewes says, adding the company integrates its physical inventory with experiential, social and mobile online channels to provide clients with greater connections with consumers. While delivery of the message or the medium might change, the one thing that never changes is that the “consumer is boss”. “The passionate focus on the consumer where the consumer is at the right time, and the right place, with the right message, is a very consistent purpose. And certainly, being at the right place, at the right time, with the right contextual message - to me, that hasn’t changed on being the focus,” Crewes says. Her marketing pedigree also stays with her.